Love birds mingling in the playful, pink paradise of "Let's Flamingle." UPGRADE TO A WOOD PALLET IN THE STUDIO! 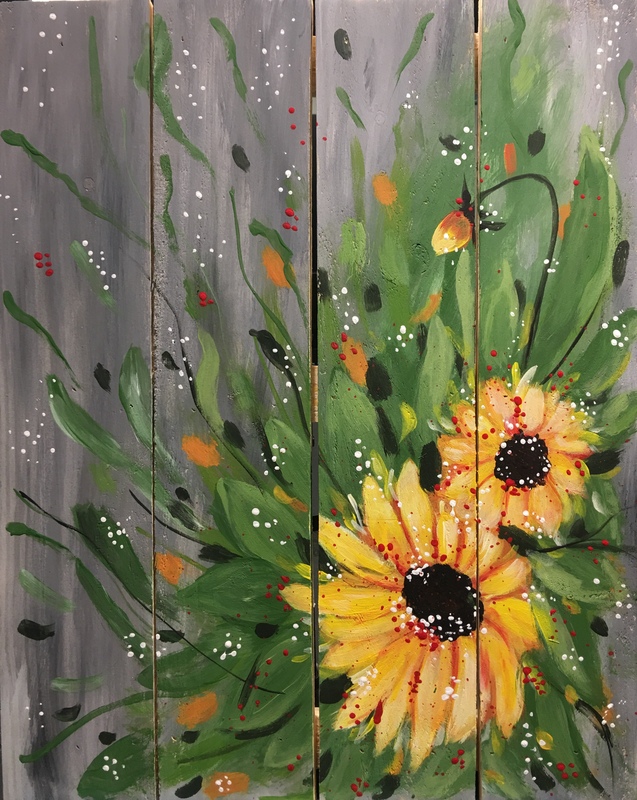 Pinot’s Palette is the upscale leader of painting and sipping – a fun way to enjoy art and wine, meet new people and bond with friends. Guests enjoy a no-experience-required art class—all supplies included—directed by trained, local artists, who guide guests step-by-step through a featured painting. We have beer, wine non-alcoholic beverages available for purchase. No outside alcoholic beverages permitted. Age policy-13+ evening events. All ages- daytime events. Please refer to your auto email confirmation or our website FAQs for our cancellation policy. Thank you.